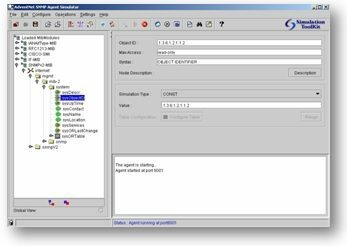 SNMP Agent Simulator is an open source, free network tool that you can simulate many SNMP enabled device on your network. You can use SNMP Agent Simulator for development and testing. You can download SNMP Agent Simulator, below. 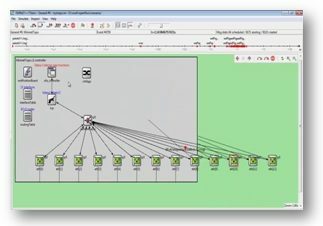 The Cloonix Network Simulator that provides also a graphical user interface. Cloonix uses QEMU/KVM to create virtual machines. You can download Cloonix, below. 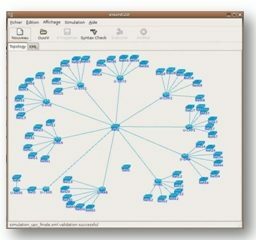 IMUNES is being used as a network research tool. It runs on both the FreeBSD and Linux operating systems. It uses the kernel-level network stack virtualization technology provided by FreeBSD. IMUNES supports a graphical user interface. It works well and offers good performance, even when running IMUNES in a VirtualBox virtual machine. You can download IMUNES, below. 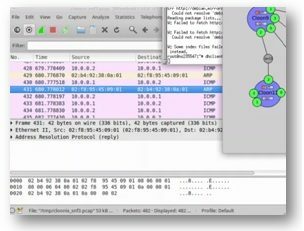 Netkit is a command-line based simulation tool that uses user-mode Linux to create the virtual machines. You can downlaod Netkit, below. Mininet is designed to support research in SDN (Software Defined Networking) technologies. 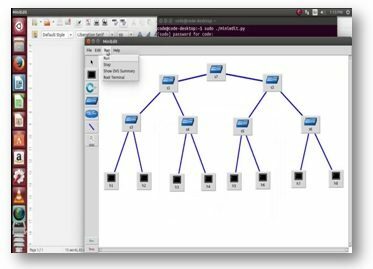 The tool can support thousands of virtual nodes on a single operating system. Mininet is most useful to researchers who are building SDN controllers and need a tool to verify the behavior and performance of SDN controllers. Knowledge of the Python scripting language is very useful when using Mininet. You can download Mininet , below. 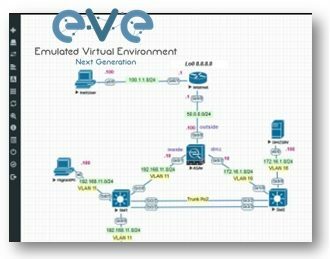 UNetLab and EVE-NG are network emulators that support virtualized commercial router images (such as Cisco and NOKIA) and open-source routers. They use Dynamips and IOS-on-Linux to support Cisco router and switch images, and KVM/QEMU to support all other devices. Each is available as a virtual machine image and may also be installed on a dedicated server running Ubuntu Linux.Yu can download EVE-NG, below. VNX supports two different virtualization techniques and uses an XML-style scripting language to define the virtual network. It also supports chaining multiple physical workstations together to support distributed virtual labs that operate across multiple physical workstations. VNX replaces VNUML. You can downlıad VNUML, below. OMNeT++ is a Network Simulator tool that has also a graphical user interface beside coding part. You can reach OMNeT++, below. 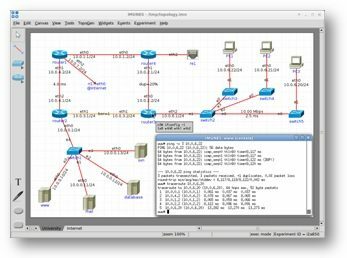 NS-3 is a discrete-event open-source network simulator for Internet systems, used primarily for research and educational use. 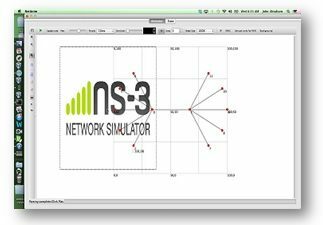 NS-3 is a complex tool that runs simulations described by code created by users, so you may need programming skills to use it. You can download NS-3, below. 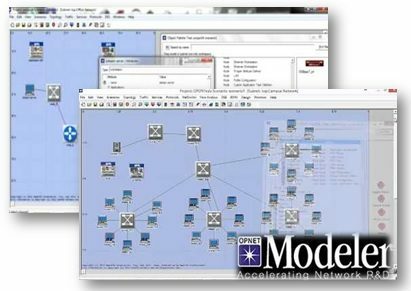 Opnet Modeler is a Network Simulator that gives support to LTE since the release of its version 17.5. 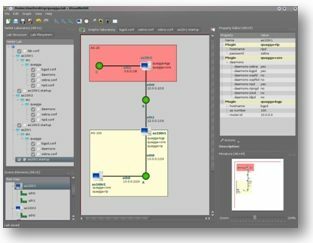 OPNET Modeler provides an easy, flexible and comprehensive simulation platform with its pre-defined core functions and standard node models. You can reach Opnet Modeler, below. Hey Buddy!, I found this information for you: "Simulators". Here is the website link: https://ipcisco.com/simulators/. Thank you.